Short break ... Stayed at Mountain View for just a couple of days but will certainly stay there again. Although a 3* hotel could not fault the value for money and service and friendliness of the staff. If you want great value for money, clean rooms, comfy beds, charming staff, delicious food and a holiday to remember then the Mountain View Hotel really is the place for you! We are a three star family run hotel just three miles away from the beautiful harbor town of Kyrenia in North Cyprus. We pride ourselves on being great value for money and providing every guest that stays with us a fantastic holiday. Our hotel offers great special offers on drinks and food all year round and has some superb entertainment evenings including Turkish mezze nights and poolside BBQs. You can choose to stay in a hotel room or one of our bungalows which are set in some beautifully landscaped gardens. Every room boasts a fantastic view of the Kyrenia Mountains as well as the Mediterranean Sea, the pool or our beautiful gardens. Just a short walk from the hotel is a small local beach, as well as some great restaurants. We have lots to do for guests of all ages including a tennis court, pool table, ping-pong table and board games as well as lots of entertainment nights. We can also arrange activities from paragliding through to horse riding as well as day trips to locations all over North Cyprus. So come join us and have a holiday you will never forget! We have a 25m crystal clear fresh water swimming pool, with a shallow children's pool attached. We have an indoor bar as well as an outdoor bar and a full al a carte restaurant. A tennis court and children's play area are situated round the back of the hotel and a pool table and table tennis table near to the pool bar. A sky tv is available in the indoor bar for all guests sporting (mainly football!) needs. Each hotel room and bungalow is fully air-conditioned. There are tea and coffee making facilities available on request, satellite TV, a phone, mini-bar and hair dryer’s on request. Those coming to relax in Northern Cyprus with larger families are recommended to stay in our highly spacious one or two bedroom bungalows which are a lot cooler for the summer months. The Mountain View Hotel is located in North Cyprus only 3 miles from beautiful harbour town of Kyrenia. 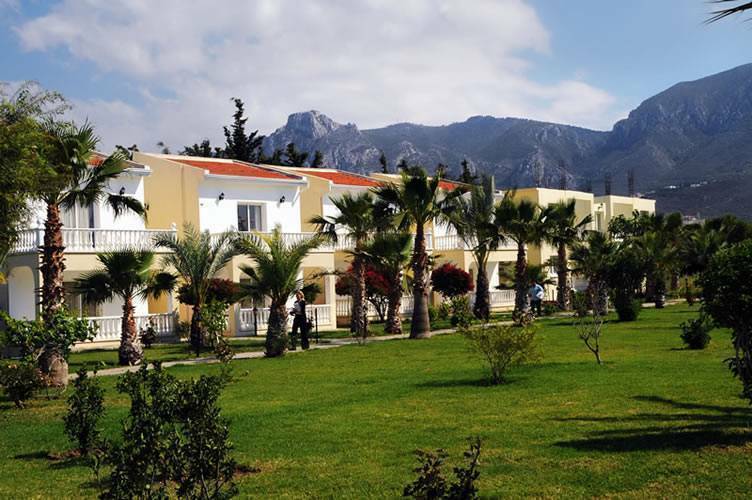 The hotel is located at the base of the stunning Kyrenia Mountains, with the local beach just a few minutes walk away. There are several excellent restaurants in the local area as well as a supermarket about a 10 minute walk away. A restaurant offering turkish and english foods.also arrange cheap bazar every friday. A restaurant with a bit of a twist - you cook your own kebab and steaks on your very own hot stone grill. * Cancellation is free of charge up until 2 days before arrival. * Cancellation within 2 days of arrival or failure to arrive without cancellation will incur 100% of 1 night's stay. We are based in the village of Karaoglanoglu, which is about 10 mins drive from the beautiful harbour town of Kyrenia. As you drive out of Kyrenia towards Lapta we are just after the Tempo Supermarket down the turning for the Castle Pub. We are just a 45 minute drive from Ercan Airport and 1 hour and 20 minutes from Larnaca airport. 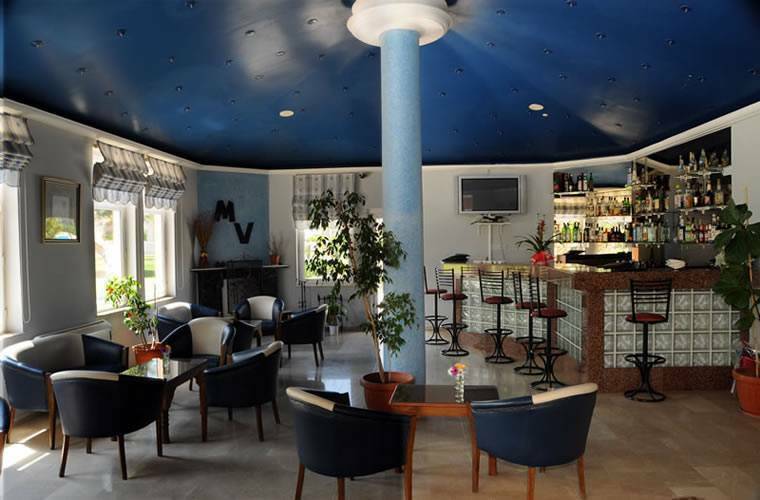 The Mountain View Hotel can arrange your transfers from the airports and from the hotel. We are also only a 5 minute walk from the main road where you have the access to all the buses travelling all over Northern Cyprus. We are also able to arrange car hire for you at some very competitive rates.